We are a nonprofit bicycle cooperative that promotes the personal, social & environmental benefits of bicycling. We function as a bicycle recycling center & educational workspace in a diverse & non-threatening atmosphere. 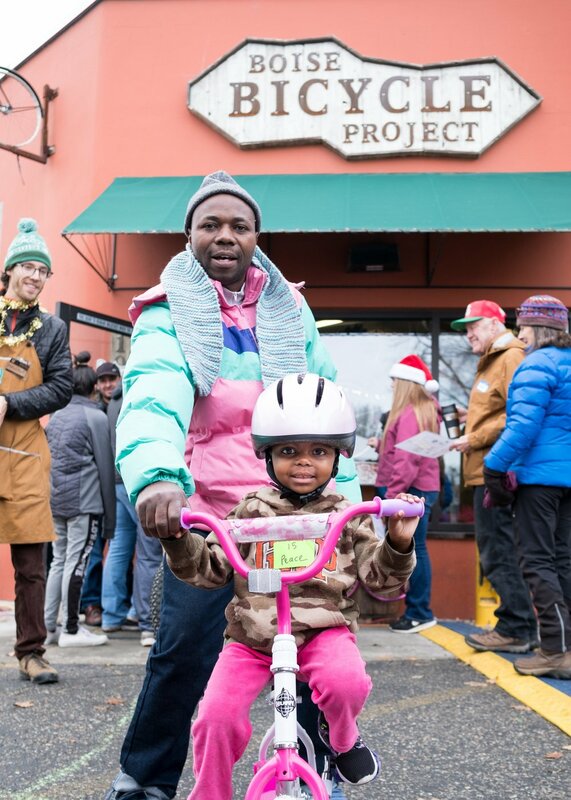 Through education & access to affordable refurbished bicycles, BBP strives to build a stronger bicycling community. When you enter our doors, you have entered a place of community. Everyone is welcome to get their hands dirty, and all bikes belong. Once inside, we will work together to connect you to where you need to go. By sharing tools, knowledge, and experiences in a cooperative space, we can learn from each other and remove barriers that block opportunities. When you exit our doors you leave empowered with the resources and confidence to engage in other opportunities. Through pedal-power and people-power, we can build the community we want to live and ride in. Subscribe and get the latest BBP news in your inbox every Tuesday. Be the first to engage in the life-changing impact BBP’s team is creating in the community. Never miss a volunteer opportunity, member’s class, pedal-powered event, or special shop sale again! Womp-a-what? Wompabelle, Christa's sweet ride! Members' Night: Social Ride to Lulu's!